Jordan F2F II to be Released Soon! The Jordan F2F made a successful return last year, hitting strides in almost every release of new colorways. 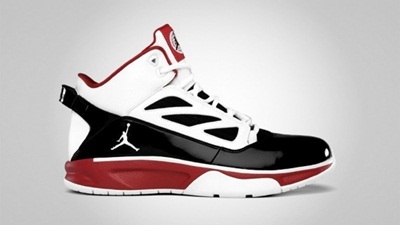 This prompted Jordan Brand to give it a sequel model, which s now known as the Jordan F2F II. The Jordan F2F II, which resembles the features of Jordan Brand’s banner model last year, the Air Jordan 2011, will be coming out in a new colorway soon. To be released in Black/White – Varsity Red colorway, which is absolutely elegant, expect this shoe to make waves in the market this February! Jordan F2F II Set to be Released! Jordan F2F II Coming Soon! Jordan F2F is Making Waves!